Company culture is more important than ever, but it’s more than just perks like casual Fridays and holiday parties. While those are great bonuses, your culture should reflect your core mission and values as a company. It’s an ongoing initiative that requires thoughtful consideration, as well as honest communication between every member of your organization. Do you know how your team really feels about your company culture? To find out, sometimes all you have to do is ask! Here at LMG, the desire to know how our team really feels is the exact reason we started using Officevibe, to ensure we’re creating and upholding a culture that encourages growth and satisfaction for everyone. Officevibe allows you to send out weekly email surveys that take less than five minutes to complete. These surveys give team members the opportunity to answer questions in areas that are important to your organization, like recognition, feedback, happiness, personal growth, satisfaction, wellness, ambassadorship, relationship with managers, relationship with peers, and alignment. They can rate their satisfaction on a sliding scale, type out a response in paragraph form, or choose a pre-populated answer. One feature we really like about the surveys is that all feedback is anonymous unless individuals choose to share their name, which allows our team to feel comfortable sharing anything. The surveys are fun, and our employees enjoy taking them. No, really—they do! They’ve told us they look forward to seeing the email pop up in their inbox every week. All of the questions are backed by scientific research on employee engagement and provide us with automated insights. Based on the answers received on the key metrics and sub-metrics I mentioned earlier, you’re able to measure various levels of employee engagement. At LMG, we assigned a core management team that reads all of the feedback weekly. Officevibe also gives you the ability to respond to feedback directly through the platform, and the conversation can still remain anonymous. For us, we’ve found that this feature has helped encourage communication across all levels to make sure we are always taking everyone’s ideas into consideration to help create our great culture. Equipped with both analytics and feedback, you’re able to take action. We’ve been able to address questions and concerns, identify opportunities for improvement, and celebrate areas in which we’re doing particularly well. For example, Officevibe has initiated conversations at LMG around better communication with our management team, what a flexible schedule could look like, and opportunities to improve wellness. Officevibe is also a quick and easy way to gauge simple feedback on certain topics. And while we’ve used it to discuss integral topics surrounding our culture, we use it for the fun stuff too! We’ve picked our employees’ brains on where to host our holiday party, gauged interest in offering yoga every Tuesday at lunch (an initiative inspired by our “wellness” category! ), and requested a list of favorite projects we’ve worked on. Creating a great company culture can seem complicated at first, but tools like Officevibe help make it simple—and the results can provide actionable takeaways for any organization! Interested in learning more about how to get your team on board with Officevibe? Shoot me an email at anna@lmgresults.com! Looking For More? Follow along to see how we’re driven by fresh insights. 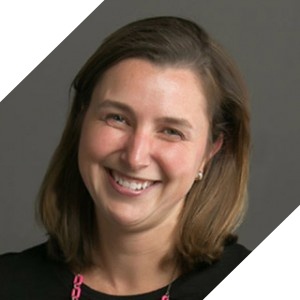 Anna has a knack for finding connections—the crucial links that bridge sales and marketing, client offerings and customer needs, B2B and B2C marketing, business objectives and market opportunities. As Account Director, Anna helps clients identify and leverage these connections, ensuring their marketing efforts hit the mark and make a difference. Drawing on her diverse professional experience and passion for research, Anna is rarely at a loss for relevant insights and targeted recommendations. And when additional inspiration is required, an hour on the river kayaking or refocusing through yoga never fails to deliver fresh inspiration. If you’re from Dayton—or have passed through at any point while visiting our office—you may or may not have noticed the expansive green space known as Dave Hall Plaza. It’s located on Main Street, between Fourth and Fifth Streets, right in the city center. Do you ever feel your brand isn’t standing out from other competitors? Maybe it is time for a brand refresh. A great way to refresh your brand is through color, since it stimulates emotions, feelings, and experiences. After all, 93 percent of consumers purchase products based on visual appearance. Be in the know with 2019's latest graphic design trends! Your work today will create the jobs, companies, and culture of the future.